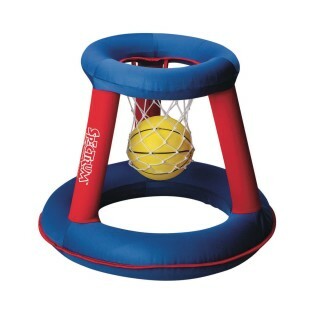 Easy to inflate and play anywhere! No assembly required and super lightweight. A fun activity regardless of age or ability. Made with durable fabric reinforced vinyl. 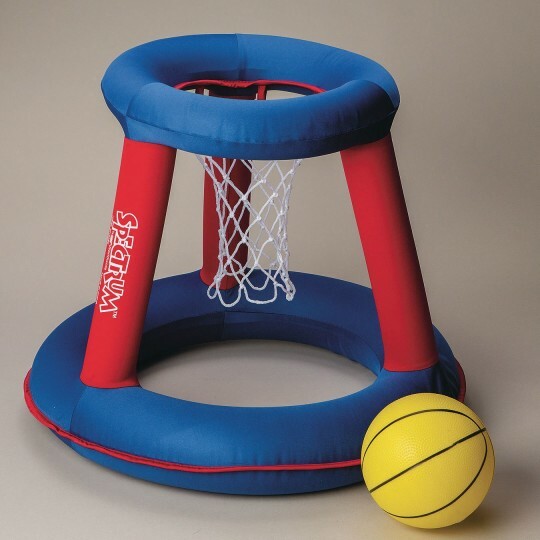 Includes a 6-1/2" vinyl basketball. 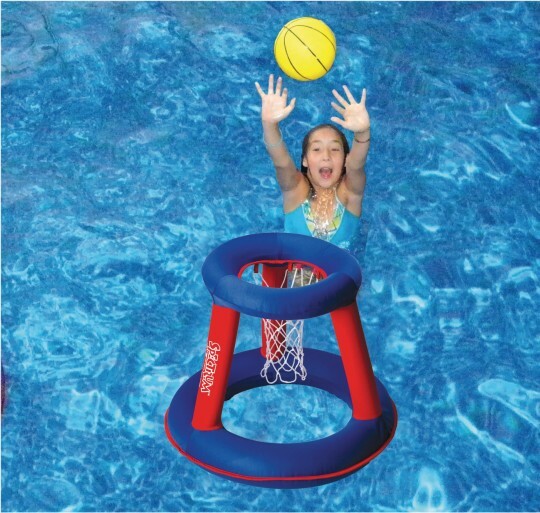 No assembly required and super lightweight – So it's easy to inflate and play anywhere! A fun activity regardless of age or ability. Made with durable fabric reinforced vinyl. 15" rim with 23" base; 19" tall. 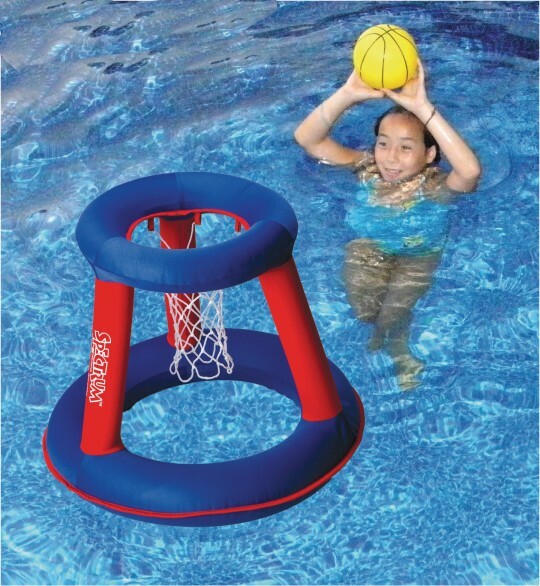 Includes a 6-1/2" vinyl basketball. Ball color may vary. Working with Brain Gym activities I usually give a station of 2 students standing on lines throwing in the net for eye/hand coord.